﻿Sales of the Heracles were buzzing along, people were posting online about it, I was picking up stockists, but I was getting lots of queries about XL and XXL sizes. This despite the fact that the shirt runs a bit large. You can imagine how it feels to see all these sales slip through my fingers because I miscalculated sizing. "Next run!" I said, but when I was missing out on getting a big stockist because of the lack of these sizes, I needed to take decisive action. Because that's what we do around here! I put in the order for 40 XL and XXLs, and waited pretty. However, soon it became apparent we needed more buttons. I got in touch with the buttoniers but they said almost a month was needed to make them. So I waited, and went on a vacation to the beach in the meantime where I attempted to teach myself surfing and was smashed into jagged rocks for my trouble. The ocean is a cruel, fickle lady. Salty, you could say. Back when I was in Sendai in February, John Lofgren said that after the indigo Heracles I could make the same shirt in ecru. I liked the idea a lot; it made sense logically, and also because I'd always liked the idea of off-white chambrays but never bought one I really liked. I had a Sugar Cane one a couple years ago, but it was pretty transparent and was always too big for me so I sold it. I wore it once, to a company party in which I was dressed up as Clark Kent, with a makeshift Superman shirt under it. "Say Jim, that's a bad outfit!" Making the ecru was next in line, but I would need a lot more indigo Heracles sales first. That, or something smaller first. I thought for a while and planned for the fact that winter is ahead. Making clothing, after all, takes more time and money than you'd probably expect before getting into it. I can only imagine how far in advance the bigger brands must work; for me, if it's summer I'm working on winter stuff. I considered the idea of a bandanna for a while, honestly, but I wondered how popular it would be. Personally, I like collecting bandannas, and I also keep one in the back pocket of my jeans to use as the occasional handkerchief (no, I don't blow my nose into it). Then I thought about a scarf. Granted, winters here aren't always cold enough to merit me wearing one, but I sure needed my wool scarf in Sendai and will if I go anywhere temperate in winter from here on out. Rather than wool though, I wanted to make a scarf that was lighter and could work for fall and spring, so I decided on wabash. 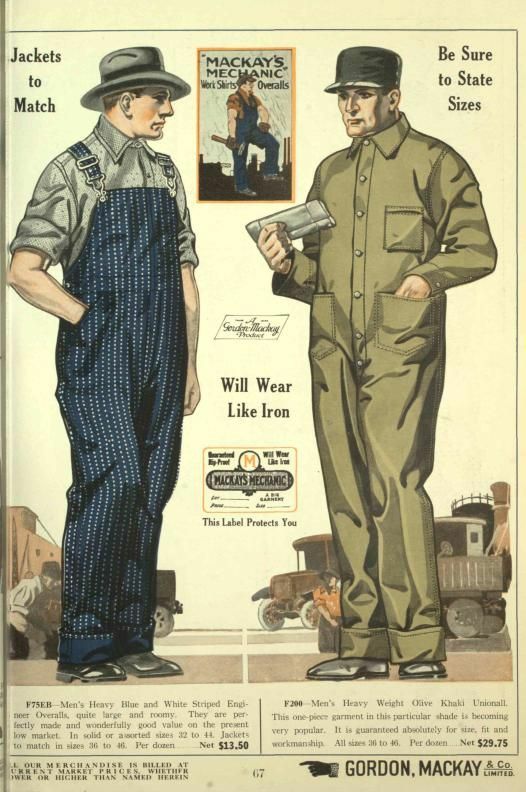 Men's overall in wabash dot stripe fabric (left). "Stifel" boot on the reverse side of the fabric; a clever logo, as "stifel" means "boot" in German. John's staff advised that it was best to choose two fabrics, so after going over samples I finally decided on hickory stripe for the second variant of the scarf. I'd always liked hickory stripe, owning a Levi's Type I jacket in hickory stripe, and a pair of hickory stripe work pants which I've since sold for being too small. 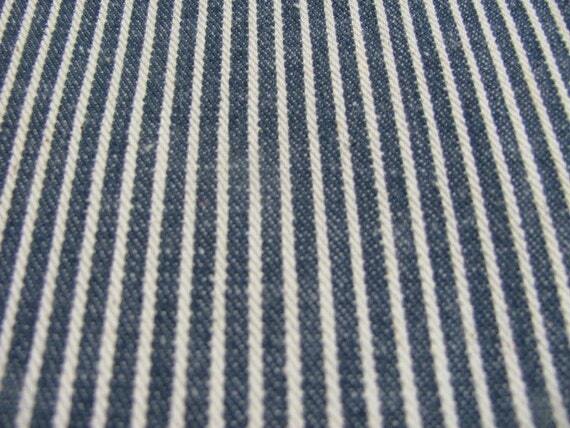 Hickory stripe dates back to the 1800s in the expanding American frontier; it was originally a variant on seersucker, but made to be tougher and used in making overalls, work jackets, and the peak caps worn by train conductors. It soon gained favor with butchers and became a uniform for Standard Oil workers as well. Steam locomotive driver wearing hickory stripe work coat. Would two scarves be enough to hold everyone over until the ecru, though? Would I need something else. How about maybe a T-shirt, or even a long-sleeve henley? We'll get into that in the next blog post!